Abbéy Odunlami‘s performance at Shacks & Shanties was, according to an attendee, much different from his other performance pieces. 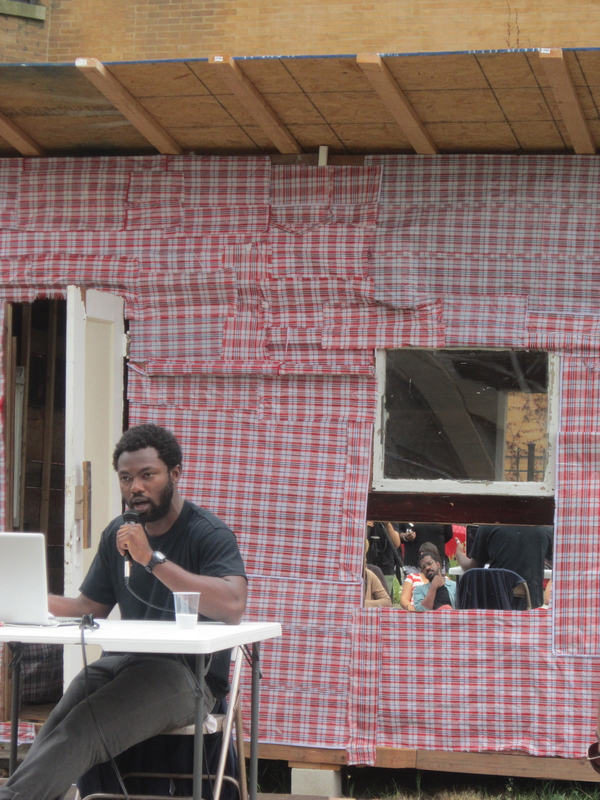 On a wooden platform situated in front of the shack (the physical structure for the installations in the Shacks & Shanties Project), Odunlami, sat at a small white table with his laptop in front of him. Instead of seeking an active participation from the audience during the performance, he read an essay that was interluded with tracks he played from his laptop. The effect — at least in the eyes of Faheem Majeed, organizer of Shacks & Shanties — was newscaster-like. Even so the performance was engaging (check the guy holding his chin in the picture below). 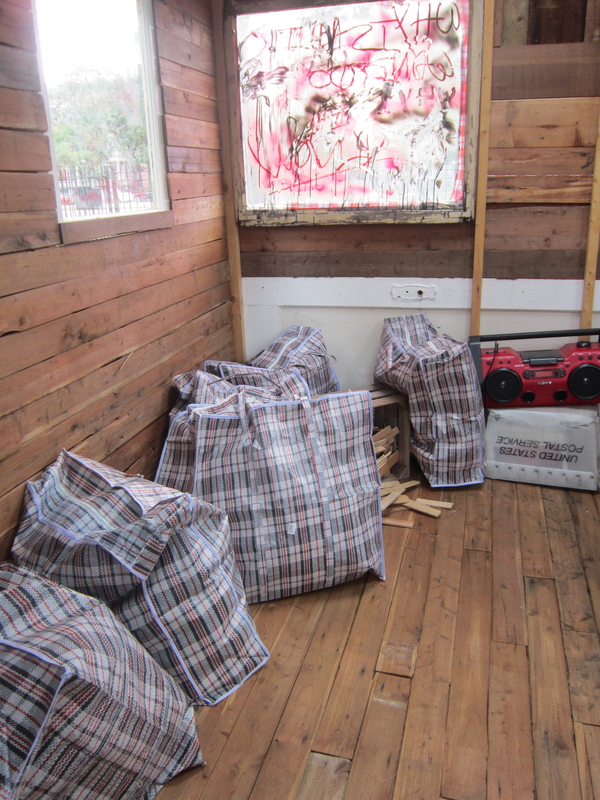 For Odunlami’s installation, entitled “Ghana Must Go!” he covered the shack with the plaid plastic material that is used to make Ghana Must Go bags. Inside the shack, were stuffed Ghana Must Go bags. On top of a plastic US postal service container sat a red boom box. A track (comprised of six individual tracks that Odunlami layered on each other) emulated the sounds of a busy market in the space. Odunlami’s essay began with a few examples of the appropriation of “poverty culture”: cowboy gear donned by those who could well enough make beyond the median salary of a real cowboy (20,000 USD); overalls worn by non-farmers who probably don’t run businesses that are consistently in the red; ripped jeans that may cost hundreds of dollars; and lastly, high-end bags made by designers like Louis Vuitton that feature the patten of Ghana Must Go bags. As Odunlami noted in his essay, the Ghana Must Go bag and pattern didn’t originate in West Africa, yet it holds historical significance in the region. During the 1970s, the Nigerian oil boom attracted many Ghanaians to the nearby nation. In the 1980s, as Ghana was dragged into greater political and economic instability, increasing numbers of Ghanaians left their homeland (or chose to remain wherever they had migrated for school or work). As the oil boom began to subside and conditions in Nigeria began to deteriorate, immigrants became a target. In 1983 and again in 1985, the Nigerian government expelled significant numbers of immigrants, most of whom were Ghanaians. Those being expelled packed their belongings in these plaid plastic bags that were subsequently referred to as Ghana Must Go bags. Ironically, Odunlami’s installation was hosted in a garden adjacent to a building that supposedly houses many Ghanaians. For more images of last Saturday’s Shacks & Shanties performance, check them out here. And for the remaining installations schedule, click here. *Update: I wrote this post about a little over a week ago when John Evans Atta Mills, PhD was the sitting president of Ghana and John Dramani Mahama the Vice President. Yesterday afternoon it was announced that Dr. Mills had passed away. As deemed by Ghana’s 1992 Constitution, Mahama was sworn in as the President to serve the remaining 5 months of the term. You can watch his swearing-in here. You can read the Al Jazeera obit for Mills here. RIP. It is a show of my humility Pan-African pride that as a Ghanaian I am admitting that my most recent enthusiasm and interest in African history should be attributed to a Nigerian woman. I’ll credit my parents for planting the seed with their stories of life in Ghana before they emigrated to the U.S. (where they met each other). But it was Chimamanda Ngozi Adichie who sparked something in me; who made African history fascinating, real, and something that I could discover on my own. It was after watching Adichie’s popular TEDTalk, The Danger of a Single Story, that I was driven to explore her written work. Of her two published novels, I decided to read Half of a Yellow Sun first. It turned out to be a great decision; through nearly every scene of the novel, I called my sister, exclaiming that she must read the book when I was done. Without revealing too much of the plot, I would share with her the embarrassing moments in which I laughed out loud at humorous scenes in public or was pushed near to tears as the story of the Biafra War enters the lives of the novel’s characters. 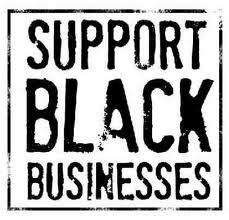 When I was done I knew I wanted to study African history — to learn the who’s, the what’s, the when’s, and the where’s. But how and when was a another matter. When I met Adichie, I was in the midst of a tumultuous, on-again, off-again 2-year relationship with my Master’s thesis and at the time we were not on good terms. There was no way I could add on the task of learning history on my own with a thesis in progress, a full-time job, and my other commitments. 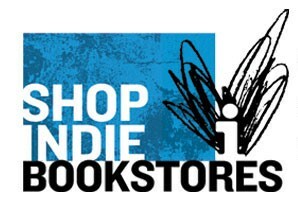 I put the task off, while sporadically reading novels and short stories from an international perspective for pleasure. When I finally parted ways with my thesis, I dove head first into Ghanaian history. I started in the late 1940s with the Accra Riots, I took note of the major events and people who led us to March 6, 1957. At first forgoing the period under which Dr. Kwame Nkrumah was head of state, I started noting all of the heads of states which led Ghana, the coups through which they achieved power and the policies they enacted (I chuckled a bit at the straightforward naming of the agriculture policy which was supposed to help the nation become more self-reliant in food production — “Operation Feed Yourself”). I did this all through history texts available online and through U.S. American newspapers available at public libraries. Through a post on Ghanaian author Nana Damoah’s blog, I knew that I should be expecting a memoir from Ghana’s current Vice President, John Dramani Mahama. As Damoah had noted, Mahama’s memoir would be history-making considering the paucity of memoirs from African heads of states. After reading the excerpted introduction and 1st chapter of the book, I pre-ordered the memoir (along with Benjamin Kwakye’s The Other Crucifix and Marilyn Heward Mills’s The Association of Foreign Spouses). I wanted to view Ghanaian history from a variety of narratives. I wanted to know the mood at the times of the various coups, the mass expulsions of Ghanaians from Nigeria, and other devastating changes to Ghana’s economic and political landscape during the ’60s and ’70s. It was one thing to read reports from American newspapers about the flogging of market women by soldiers under the Rawlings regime, it would be another to read more intimate accounts of brutality and harassment at the hands of these soldiers. It is this intimacy through which Ghana’s history is told that make Mahama’s memoir special to me. The book feels like a collection of personal anecdotes with broader stories developed around them. We start with a 7 year old Dramani who is lost and confused when no one picks him up from his boarding school during Easter vacation. His mother who lives in the northern part of Ghana has no way of knowing that he’s been left at his boarding school in Accra and his father’s absence in the matter is a direct result of the military coup that occurred less than 2 months earlier. Ghanaian politics remain ever-present through his life starting in childhood with his father serving as a Member of Parliament then as a Minister of State under Nkrumah. But in the 17 chapters of the memoir, Mahama shows us some of the more tragic ways politics was a part of the everyday lives of all Ghanaians during the 1970s and 1980s — there is the military brutality against students protesting General Ignatius Kutu Acheampong’s proposal for a new style of government in Ghana; the ineffective “chit” voucher systems for purchasing food at state warehouses and the rising black market (“kalabule”); and the presence of the “Rawlings chain” (referring to the exposed collarbones resulting from hunger during the Rawlings regime) . But it is not all heavy; there are stories of first crushes, indulging in popular music and enjoying discos, humorous tales of boarding school life, and the beginning of Mahama’s journey to politics including how he came to study History and Communications and his explorations of Socialism. 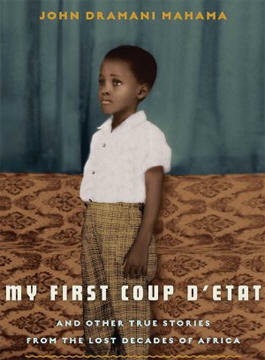 My First Coup d’Etat is a fairly quick and informative read for anyone interested in Ghana or John Dramani Mahama and it is a must-read for Ghanaians of the Afropolitan generation (those of us born and raised abroad); take a glimpse into a bit of Ghanaian history that explains why many of us are Afropolitans in the first place. You can read a transcribed version of The Hip Hop Generation in Africa: Ghana and Ivory Coast over at AfroPop.